It’s bad enough that folks drive distracted. That they text and drive. Talk on the phone and drive. And even eat and drive. But if someone breaks the safety rules while drinking, it is really unforgiveable. If you were in a Miami car accident that was caused by a drunk driver, you are going to want justice. At Wolfson Law Firm, we have Miami car accident lawyers with experience representing victims of drunk driving accidents. 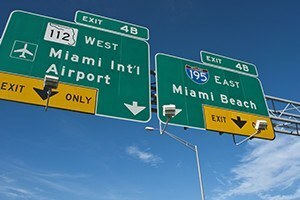 In Miami, with the focus on image and entertainment, following the safety rules is not top of the list. Folks drive drunk as part of the party atmosphere and care-free lifestyle that is so common. Car accidents caused by drunk or impaired driving are not uncommon. · Mistakenly, many people think that getting drunk has to do with the type of drink. But, as The National Highway Insurance Institute for Highway Safety reports, it is how much you drink and how quick. And, that is supported by the fact that, in 2014, 65% of people killed in drunk driving car accidents died between 12am and 3am. · The National Highway and Traffic Safety Administration (“NHTSA”) reports that just about every 90 seconds, a person is injured in a drunk driving accident. They also report that, in 2014, 610,971 people died in drunk driving car accidents. And, one in three people will be involved in an alcohol related car accident in his or her lifetime. That was one every 53 minutes. The NHTSA reports that drunk driving costs our Country about 132 billion dollars per year. Much of that cost is meted out in the legal system, where Wolfson Law Firm’s Miami car accident lawyers see dollars changing hands on these cases all the time. · The NHTSA reported recently that car accidents were the leading cause of death in teens. One-third of the accidents involving a death to a teen was alcohol related. The Centers for Disease Control Centers for Disease Control report that the average drunk driver has driven drunk 80 times before first getting arrested. A Michigan State University report indicates that a normal person metabolizes alcohol at about one drink per hour. They say that only time sobers a person up and that taking cold showers and drinking coffee does nothing. In Miami, car accidents just should not happen from drunk driving because folks have Uber and Lyft Drivers at their disposal. Given the existence of these services, causing a Miami car accident because of drinking is simply without excuse. Our Miami personal injury lawyers and Miami car accident lawyers have over 60 years of experience dealing with drunk driving cases. We have millions of dollars in settlements and verdicts in drunk driving cases. The Miami Personal Injury Attorneys at the Wolfson Law Firm have been representing people injured or killed by drunk or impaired drivers for over 60 years. If you or your loved ones were seriously injured in a drunk driving related accident, we can help. Jonah Wolfson is a bilingual personal injury lawyer in Miami. His staff is also bilingual and they help clients in Miami as well as a host of other countries including Brazil, Argentina, Venezuela, Colombia, Nicaragua, Peru and Cuba. Call us right now at (305) 285-1115 for a free consultation and we will answer your questions and help you in any way we can.